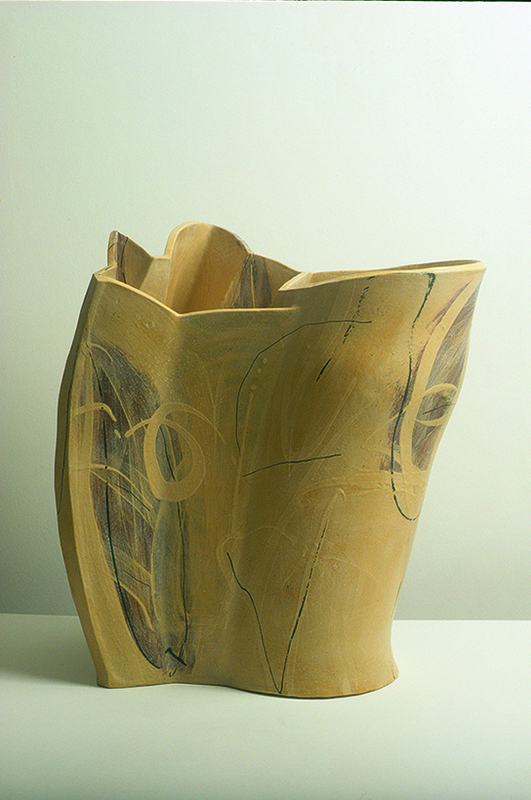 Four ceramic works were chosen for the exhibitions. 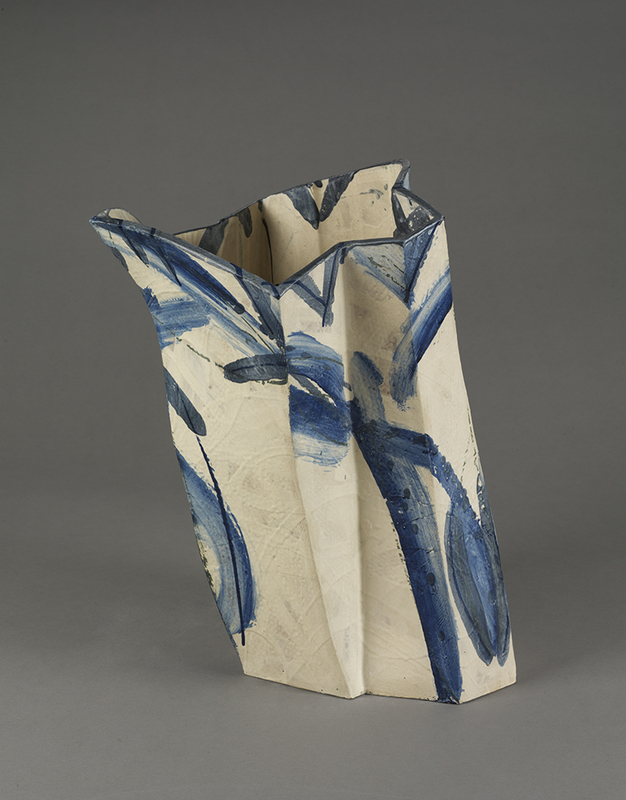 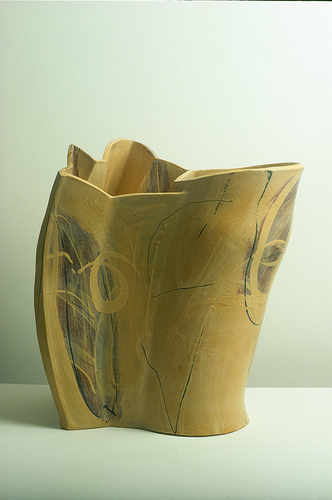 In Yale Center for British Art Leaning Blue and White Pot (1987), Pale Double Pot (1995) and Outpour (2012) were exhibited. 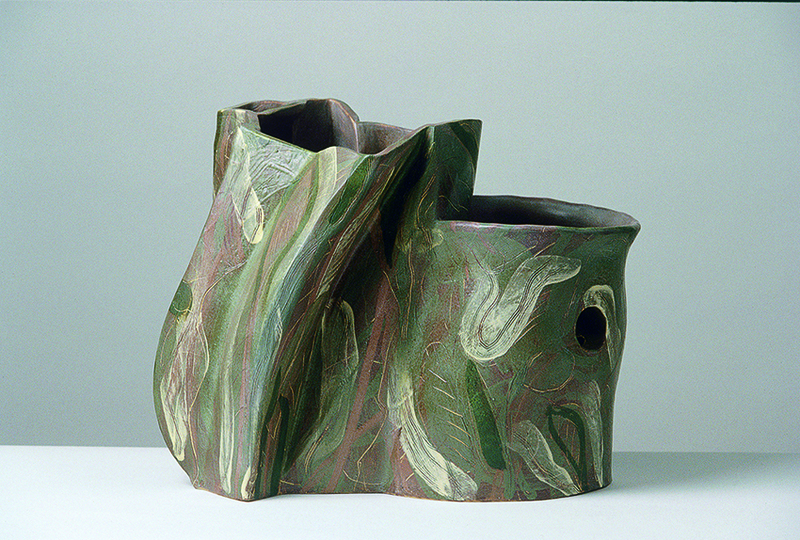 In Fitzwilliam Museum Pale Double Pot (1995) was replaced by Double Green Pot (1995) as these pieces were from private collections in USA and UK respectively. 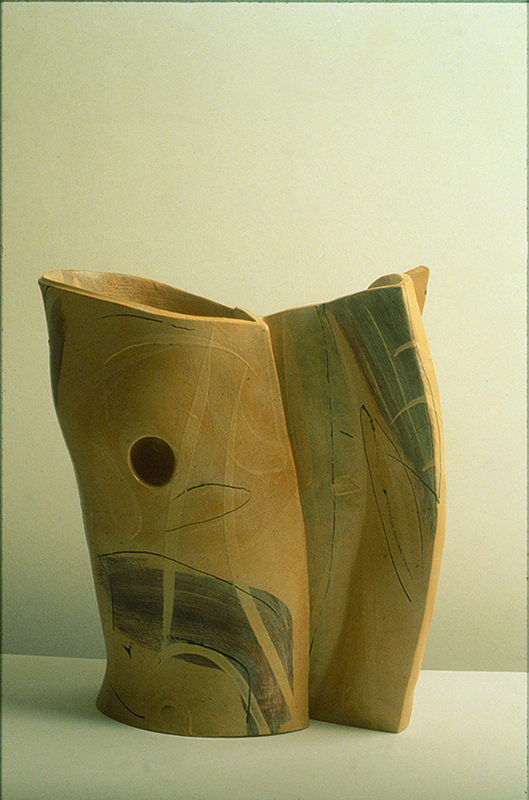 In selecting works of mine from the 1980s, 1990s and 2012 the curators were illustrating the development of contemporary practice in the postmodern period. 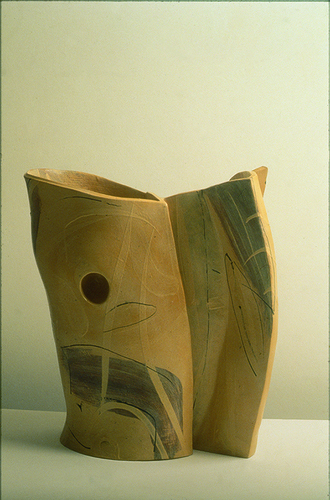 The first two were shown in the section of the exhibition called 'Vessel' and the most recent piece was shown in the section called 'Monument'. 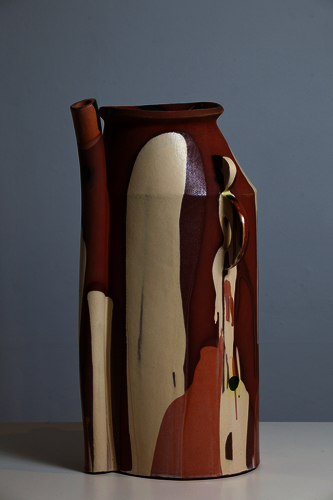 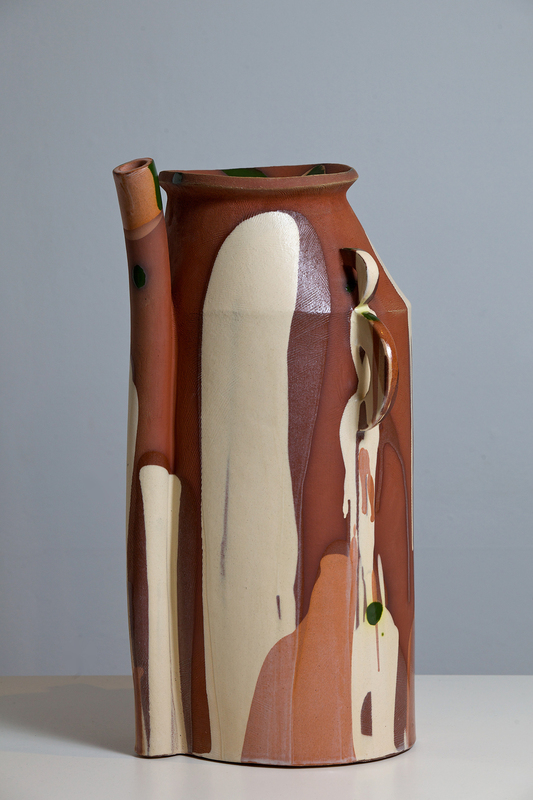 All ceramic works are hand built, high fired earthenware with painted and poured slips and glazes.